Last Sunday of January, still trying to figure out where did time go? The first month of 2017 is about to end and part of me feels I failed to catch up. There were so many things that happened in a span of one month. Everything started with work, as expected. Priorities were changed so there were abrupt changes I have to deal with. On the positive side, I became adjusted with my weirdest class schedule. I also scored some freelance works. A previous client requested for additional work. My other existing project is also nearing its ending. But the major event of January happened to be the departure of my friend T. I always have a hard time dealing with farewells. Being left behind is as always, one of life's hardest struggles. On Friday night, my friend T hosted her farewell dinner. She treated us in one of my favorite grill restaurants. What people might expect as a night of tears and tribute didn't happen. Drama was never in the personality of my friend. 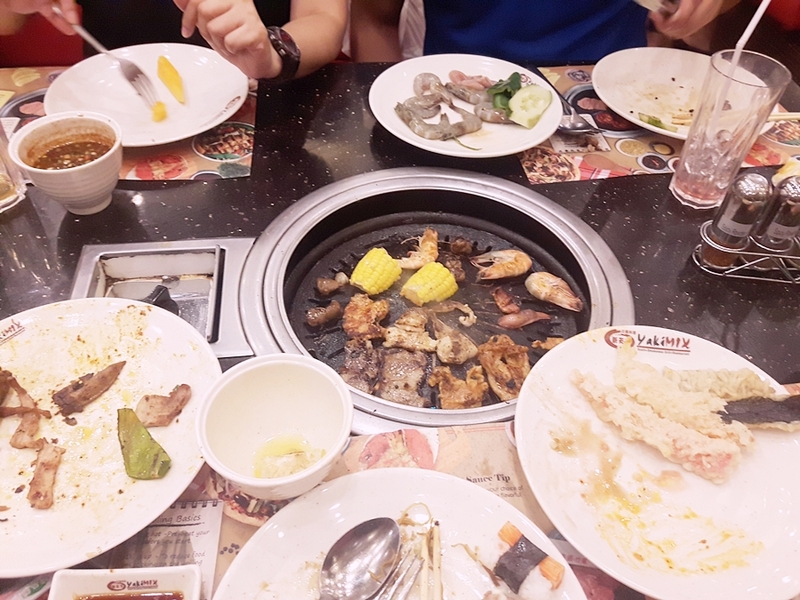 Haha Instead, everyone was stuffed with the best food while discussing and laughing at some recent happenings in our environment. Friday also marked the eve of the Chinese New Year. Years ago, I braved Binondo's festivities with another friend. I think this was the only year when I failed to visit in time for the CNY celebration. I hope I'll be able to drop by next week, with all the red lanterns and decors still around. In between the days at the workplace, I found these interesting links. This Etsy seller is my life goal!!! - One of my wildest dreams to become an established freelancer. My workplace situated in the comforts of my own home. My boss will be limited to my clients. I can wake up at my pace, engage in morning exercise, work the entire day, teach in college and get back the much needed 8 hours of sleep. Unfortunately, this work set-up will make me more anti-social. I still have to outweigh this but given all the unnecessary forms of stress I experience everyday, I can't help but dream of a quiet, peaceful and relaxing work life. This Samsung ad in India - Define customer service that breaks the borders of expectation. The additional effort we extend to accomplish our jobs meant priceless happiness for someone else. For a while, it made me think what really happens if I give beyond what is expected. Am I really making someone else's life better? The compiled videos of former President Obama is love!!! This magic trick oblong scarf from Kate Spade !!!!! It's already on sale, but still expensive for my budget. Nina Stajner's instagram and etsy account are both lovely. - I wanted to own one of her pins or drawings. Chunky Knits - I've been drooling :p over the chunky knitted blankets I always encounter in Instagram. This French seller has it all. I discovered another blog love :) - Meet Hello Miss May!!! This is weekend! Everything feels so relaxing and stress free. 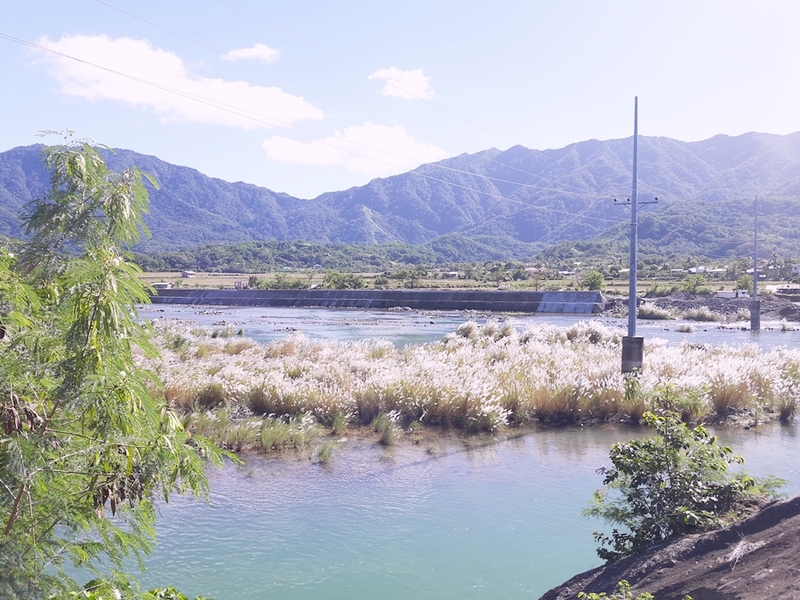 On the way to Pagudpud, we passed by this picture perfect area. I remember this was taken near the welcome arc. The place reminded me of photos of old calendars, showcasing different scenic views. We also went to the Blue Lagoon and swam the beaches of Pagudpud. Unfortunately, I was already tired when everything happened. So I have no more photos to show. We were able to visit Ilocos' famous zoo, Baluarte. 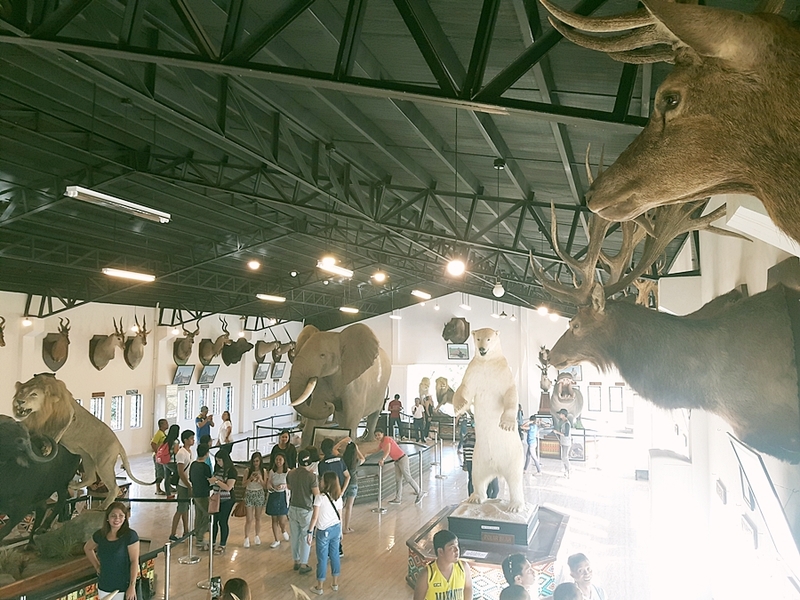 We only had some sight seeing while riding the e-jeep and exploring the museum showcasing some preserved animals. Some parts of Ilocos are also known for pottery. We visited a pottery plant and had the chance to experience this traditional process. Just a piece of advice for those with intentions to visit, applying some mosquito repellent spray can help. I had a number of mosquito bites while trying the pottery experience. Looking at this photo, I quite regret that I wasn't able to buy this candle holder. 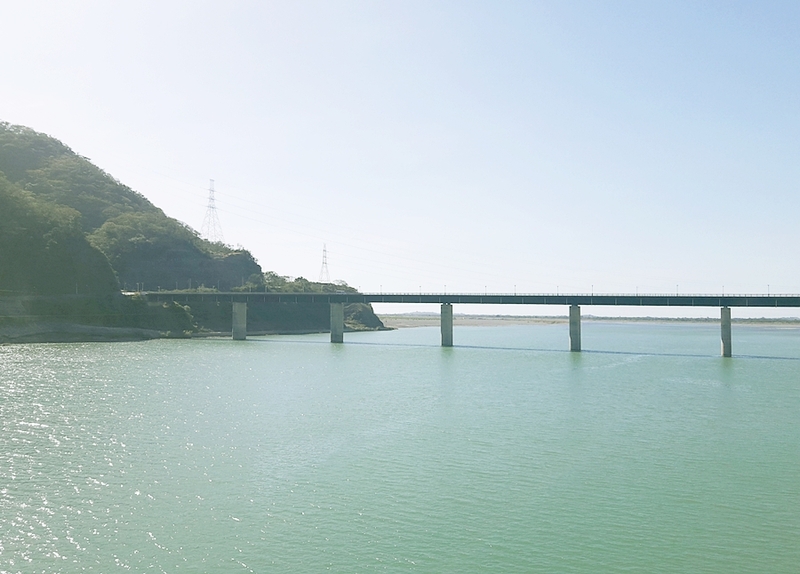 The Patapat Viaduct was already a treat for me. 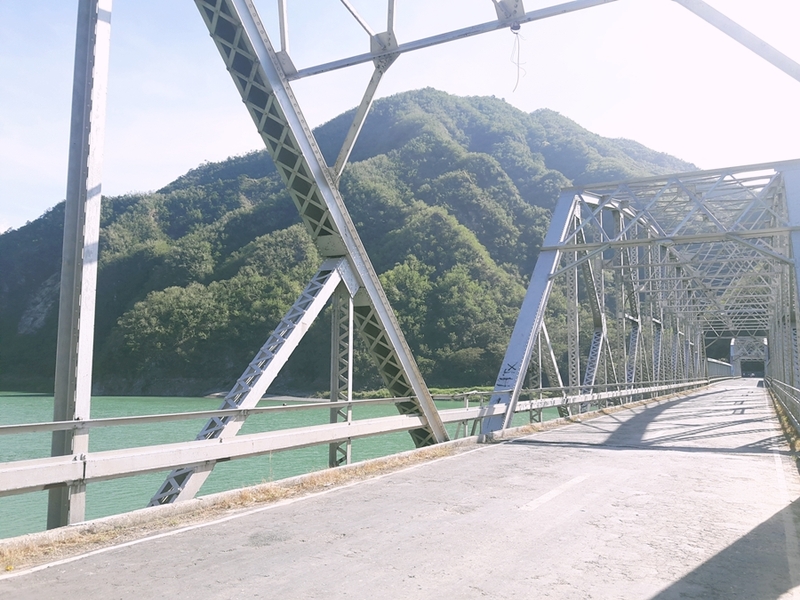 On the way home, we also stopped by the Quirino Bridge. The entire sight was too relaxing. Initially, I felt uncomfortable and tired on the long road trip. I was daydreaming of traveling by air if I have more than enough resources. But if I chose such route, I would surely miss this view. We arrived quite late in the grape farm, which became a disadvantage. It was a challenge to capture decent photos. The best time to visit the farm is around 3 pm to 4 pm. Usually, during the period before sunset. I intentionally hid my face because my skin was terrible. I was unevenly reddish brown. 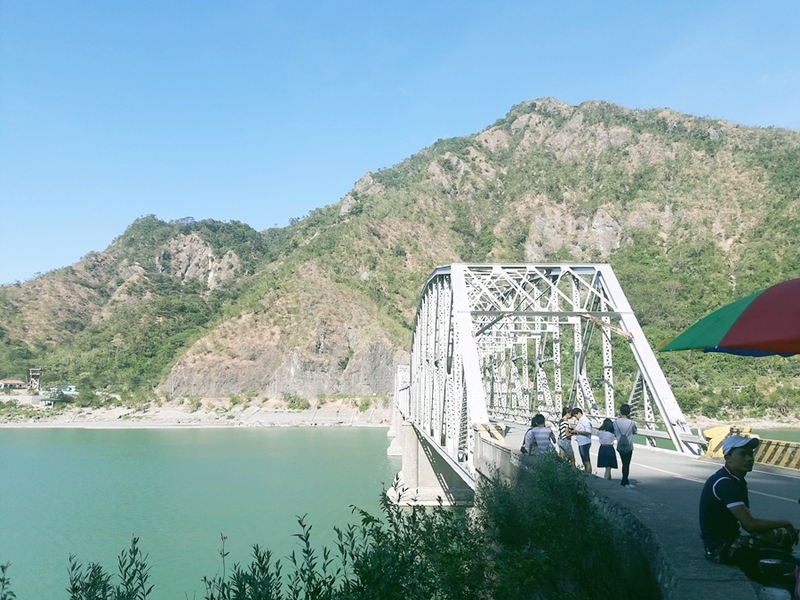 This has to be my last post from my Ilocos trip. My deepest gratitude goes to my friend A who arranged everything. Likewise to my friend T for leaving us some helpful tips. I'm also partly indebted to my freelance client who gave me a surprise bonus, hours before the trip. This leaves me, maybe I should once in a while spend my freelance earnings for traveling than shopping. ;) While travel only lasts a few hours or days, the experience it gives me lasts a lifetime. Every year, it has always been my target to see a new place. As you may know, traveling and sight seeing also meant documenting or taking photos. 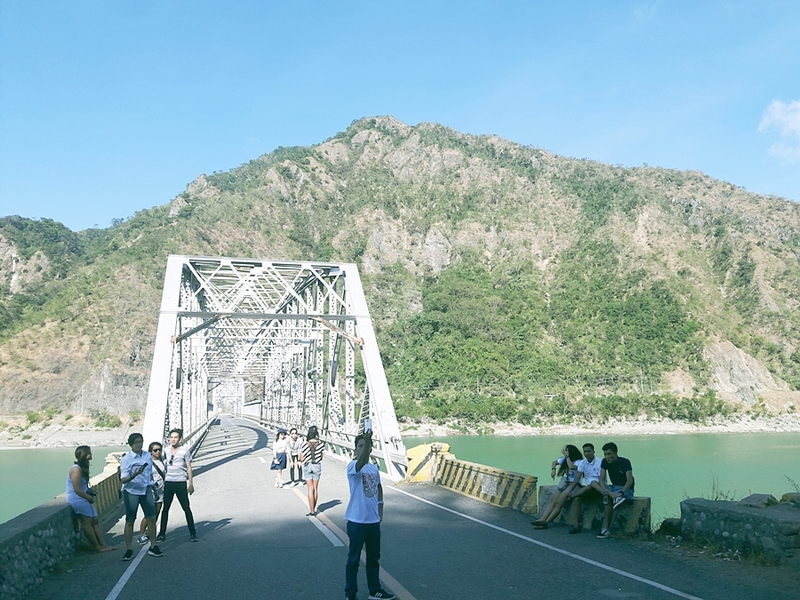 The Ilocos trip has proven that I need to give up my trusted point and shoot Sony camera. Some photos were actually taken by my camera phone. While the camera phone is great, I noticed that pictures emerge better with a real camera. Even an entry level point and shoot camera can go a long way. This year, my target is to acquire a mirrorless camera. I hope the universe will connive with me. For the longest time, I've been planning to upgrade. I'm claiming it! :) There will be more earnings and a new camera soon. Hello everyone! Hope everyone here is enjoying the weekend. As always, I savor the rare times I get more than enough sleep. I wake up without an alarm clock. More importantly, I only see people I like. I mean it. Hahahaha Lesser stress, life is easier and happier. Years ago, I don't care much about weekends. I was excited with work because everything seems new and challenging. When I went to Graduate School, I dread weekends because of Saturday classes. Good thing though, I found a group of friends who made life a little better. When I finished my degree, weekends became boring again. I later started teaching, so weekends became precious for me. The two days give me an opportunity to rest. When I revived my interest in blogging and got addicted with Instagram, the more I love weekends. The days allowed me to divert from my usual work and provide an opportunity to become a little creative. Work was manageable the past week. I was able to cope with deadlines, both with office and teaching. The government agency I became in contact with was fast and responsive. I hope everyone will have same experience whenever they transact with any government agency. Everything would be easier and everyone can focus on the more important part of their work and life in general. Loving everything vintage - I've been looking for sellers offering vintage items. For the longest time, I wanted to collect the classic bus tickets. I found a seller and artist selling some pieces. Also, my longest quest of finding a reasonably priced die-cast London bus has ended. :) Yes, I love collecting miniatures of vintage cars. All these pictures I have about vintage stuff intensify my desire to engage in journaling. If only I can still draw or at least sketch. They say that you can find your true calling by recalling the things you enjoyed, back when you don't have to worry about paying bills and all those grown up stuff. ;) As a kid, I really enjoyed drawing, sketching and making crafts. Still wondering when will I rekindle this interest. Royce's Potato Chocolate Chip - The rare times this land in our home :) Still feels a little surprised that Christmas gifts are still arriving in our home. I may not know everyone who loves my family, especially the friends of my parents. But really, I already love the people who love my family. Postcard from Terra - Thank you Terra for feeding my addiction to Beatrix Potter!!! All other beautiful things - Patches seem to be a trend these days. I've seen a number of shops offering blouses with the cutest patches. I joined the bandwagon so I acquired one too. ;) The Hello Kitty doll came from a friend. Thanks Mother E! It carries a Paris inspired theme. What did you do in 2016 that you'd never done before? Did you keep your new year's resolution and will you make more for next year? Never managed to make one. Give birth? None, most of my friends are single too. What dates in 2016 will remain etched upon your memory and why? My 2016 birthday was one of the best. This was one of the rare times I get surprised by my closest friends. I got three different birthday surprises. I felt so loved!!! The thought that people took effort to stage a birthday surprise was more than enough for me. My dear friend A and my parents!!! What did you really get really, really, really excited about? The trip to Hong Kong with my family. It was my first out of the country trip with some family members. What songs will always remind you of 2016? Little Mix's Black Magic, Weird People, Shout out to my Ex ... for some reason, I love the way they sounded. They reminded me of Spice Girls. Fatter by 5 lbs. unfortunately ... the struggle is real!!! On a roadtrip visiting some relatives, this year was the best. Konmari all the way! But there are other books that I enjoyed in 2016. That long awaited opportunity ..... worked hard for it in 2015, but all my efforts ended as futile attempts. As of now, I'm not sure if I still wanted it. I'm too tired chasing it. Which celebrity figure did you fancy the most? Be more patient, understanding and keeping some things to myself .... Some people don't appreciate feedback and honesty, which I should respect. Returning to my old self of keeping my silence and become more careful with trusting people. This has to be the first Beautiful Sunday post for 2017. The previous post served as a review for 2016. I started work in the middle of the week, feeling refreshed although still wishing that vacation could be extended. :p Last year, I ended my first day of work with a doctor's prescription. I almost had the same fate this year. I had a bad case of stomach flu. I suffered from diarrhea, felt nauseous for some time, slight fever, felt so sleepy, and worst of all, lost my appetite. It was a rare chance for me to dislike food. My taste buds only wanted fruits and fluids. Up to this day, I'm still struggling with meals. I should be happy because this meant unexpected and unforced diet. :p But the fever, chills and unexplained body aches are torturing. Good thing though, we don't have work on Monday. I have an extended weekend to recover. A few days ago, a Facebook contact left a status message about comfort zone. No one grows staying on his / her own comfort zone. Over the past years, I have become careful in using such words. I knew some people were belittled because they don't progress with the society's imposed standards of success. And the one reason blamed, the person was not strong enough to leave his comfort zone. Upon hearing their stories, I discovered reasons. There were life changing circumstances. I also learned that sometimes, within that comfort zones are stories of struggles, strength and courageousness. The person who is usually perceived as weak, shallow and useless have their own discrete battles. With all these grown up lessons, I sometimes wish to return to my old silent self. The world and my immediate environment have too much noise to begin with. 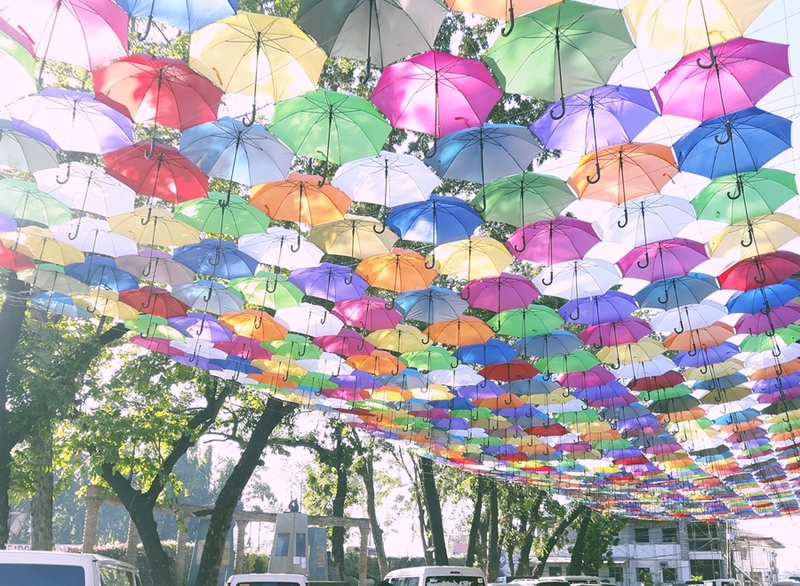 Sometimes, I feel that its best to contribute less in the chaos, appreciate the things and people that matter to me and explore opportunities meant for me. Happy Mail - I still receive Christmas and birthday gifts from the mail. Thank you Marieken!!! Humans of New York Stories - I have been wanting to acquire this book for the longest time. It's not in any way available in National Bookstore branches near me. When Fully Booked finally re-opened in Gateway Mall, I was glad that they have stocks of this edition. The book is expensive so I'm hoping some freelance works would save me. Hahaha Another wish I hope to fulfill, I wanted to be like Brandon Stanton one day!!! Longchamp Le Pliage Limited Edition and Kris Aquino by Kamiseta - They are two of my favorite OOTDs lately. I got the limited edition Longchamp from my Hong Kong trip. I love the quirky design. The Kris Aquino collection of Kamiseta was quite a revelation for me. The lady inside my overweight self is dreaming of wearing an off-shoulder blouse. Problem is, most off-shoulder blouses make me look bigger and heavier. Kamiseta's version is quite forgiving. I love that it's in my favorite color and the off-shoulder area is not too revealing. Beatrix Potter's 150th anniversary edition - Finally!!! Ordered this last December from Book Depository and as expected, it arrived a month after. :) Never mind the wait, I love the book. I was surprised with the article features about Beatrix Potter. Before reporting for work, I was able to watch two films lined up for the Metro Manila Film Festival (MMFF). I saw Die Beautiful and Seklusyon. I have to give 5 out of 5 stars for both films. I wanted to write a review but I'm afraid to ruin everything. :) I maybe one of the few individuals who appreciated this year's move for MMFF. I wanted to watch more movies, if time and budget still permit. Next year, I hope to see same or better caliber films in the festival. I'm off to watch some Korean dramas in my list and get some extended rest. Wishing everyone a Beautiful Sunday and a great week ahead!